I've mentioned these brushes before in my 'go to' Travel Brush post. I've been using them a little while now and the fact I've been reaching for these goes to show they must be good! I particularly like the shape and design of the blush brush, and the Powder brush is great for applying a powder all over the face thanks to the size of the brush. Only a few sweeps needed, but I warn you because this brush is mega soft you'll find yourself just sweeping this over your face for a while. Well I do anyway he he. The boxes have a very good description on the back about the individual brush, with image and face detailing showing where and how best to use the brush. I found these really interesting and helpful, I think this is great if you're new to makeup brushes and want to try some out but unsure how to use them and where to use them on the face. 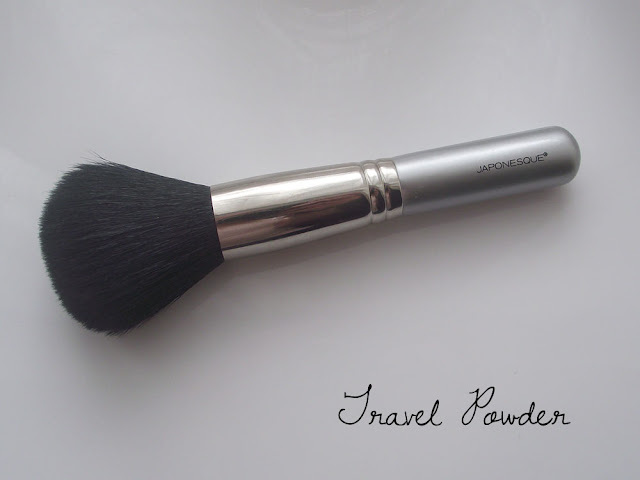 The Travel Powder brush is a lovely large brush, it's the largest out of my face brushes which is great. It makes my Sigma powder brush look like a blush brush. I use the Travel Powder brush for setting my foundation with either pressed or loose powder, then follow by using it to apply my bronzer. This is the perfect brush to apply bronzer, if you're a little nervous about applying bronzer and worried you're going to look like you've been tango-ed this would be perfect. Because of the large brush head allows you to apply an even layer of product to the face. It's great for blending so if you have gone a little heavy in areas you can blend/buff it out. It's also great for mineral powders and body shimmers. 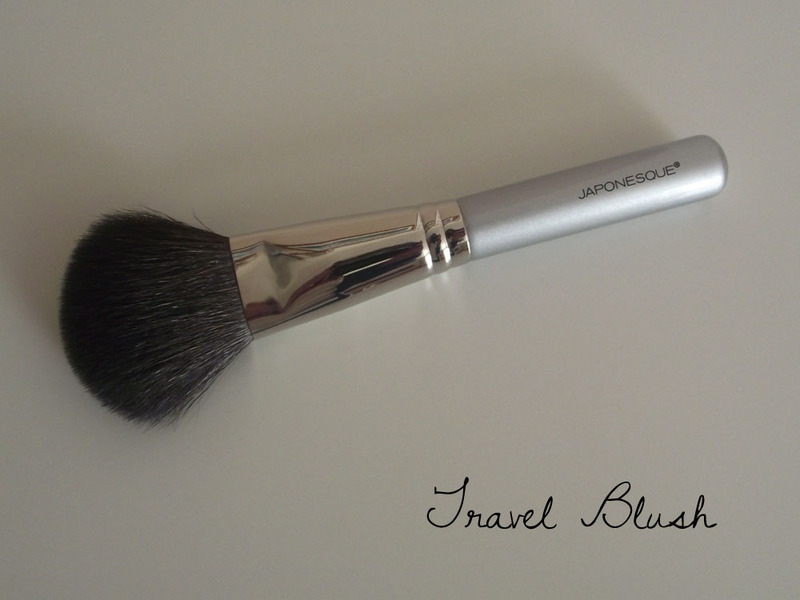 The Travel Blush Brush is a great all rounder to be honest, if you have to pack lightly I would definitely recommend this one. You can use the blush brush to contour the face, apply blush and blend and also to apply highlighter. As I mentioned above I think what makes this brush so versartlie is the shape and deisgn of the brush, it's quite flat and wide making it perfect for contour and highlight yet ideal for blush thanks to the width. The shorter handles are perfect and great for travelling, but also for everyday use when at home. I love how easy they are to handle and control and actually prefer the travel sized handles to the full length ones I think. I've washed them both and didn't have any shedding and they both dried nicely and remained their shape. I can't pick a favourite from the two because they are both amazing, overall I give both these brush the big thumbs up! If you would like to see my brush Collection leave a comment.